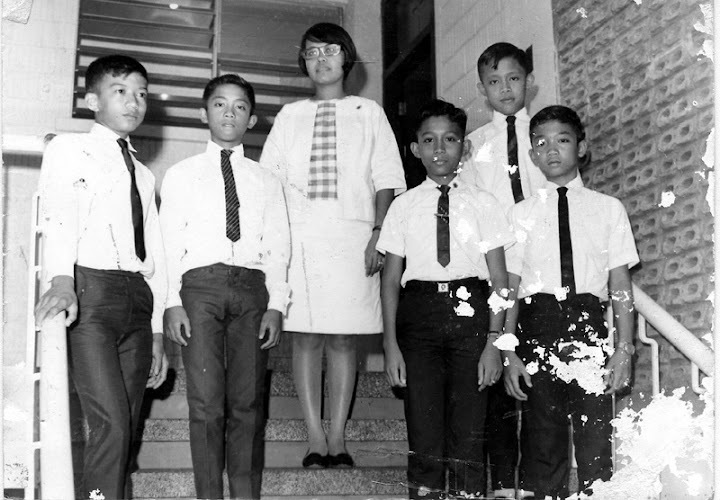 In the picture above, Ms. Alice Rivera of the Grade School Department with what looks like the officers of her Homeroom. 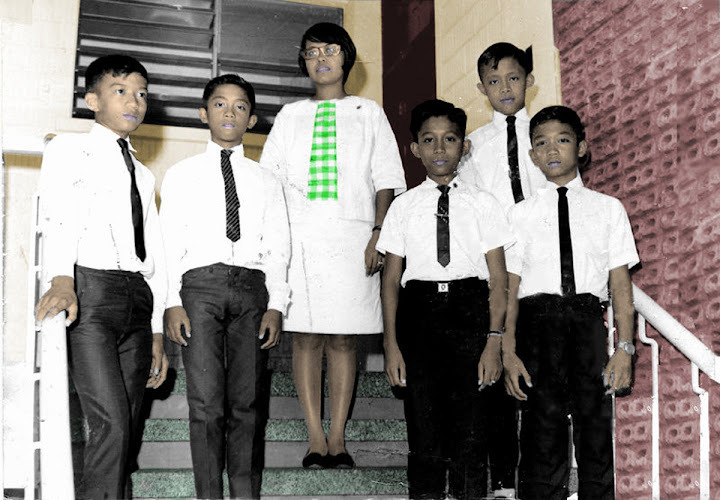 This picture was likely taken in the late sixties at the staircase leading to the 500 wing. The first two rooms of both the 400- and 500-wings were at the time where the grade students had their classes. As you can see, the original black and white above is somewhat damaged so I had to do some quick repair for the colourised version below. If you look closely, you will find where the patch up job was done.